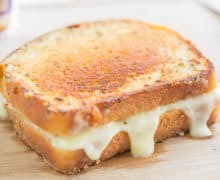 This Brie Grilled Cheese has thin slices of chicken breast, gooey brie, and melty mozzarella for a quick and delicious crispy sandwich. American cheese and cheddar may be the classic cheeses to use for grilled cheese, but there are so many more incredible cheeses to use that have different textures and flavors. And today it’s all about brie! I don’t see brie used very often for grilled cheese, but I’m not sure why not. Admittedly, it’s a little messy, as you can see from the pictures…but that’s part of what makes it so glorious. It’s gooey and has a fantastic flavor. 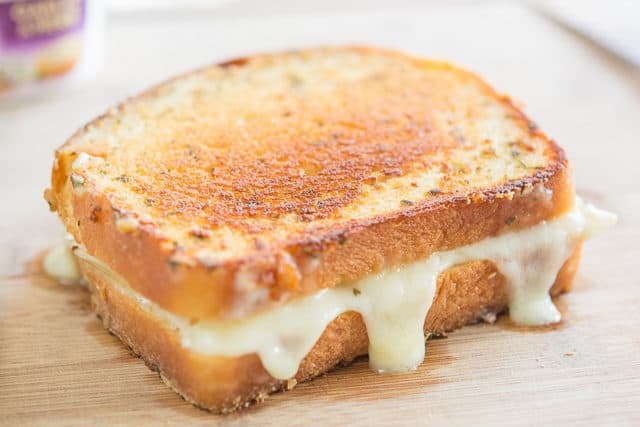 Though brie is the star flavor of the sandwich, I also add some sliced mozzarella to give it that classic stretchy cheese that a grilled cheese should have. Since mozzarella is pretty mild, it doesn’t overpower the flavor of the brie at all. I keep crockpot chicken breast on hand to quickly add protein for recipes like this. This Italian Club Sandwich, Eggplant Parmesan Sandwich, and Chicken Cordon Bleu Panini are some of my other favorite sandwiches on the blog, for a quick lunch or dinner. Enjoy! 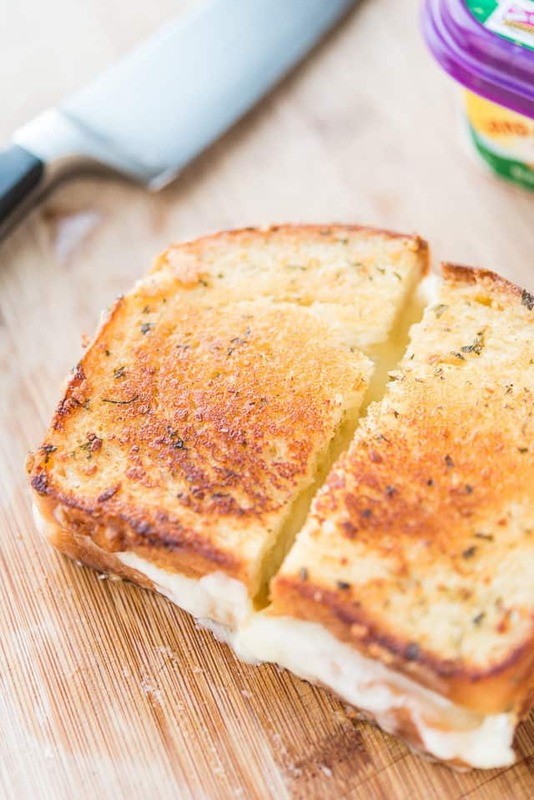 This Brie Grilled Cheese has thin slices of chicken breast, gooey brie, and a garlic herb butter, for a quick and delicious crispy sandwich! Heat a skillet or griddle over medium-low heat. 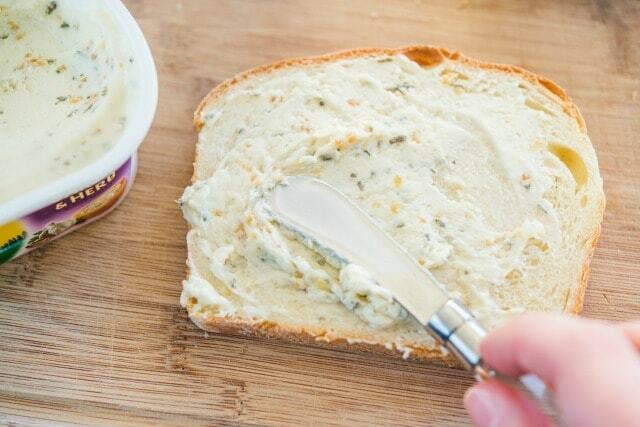 Spread the outer side of each slice of bread with 1 tablespoon butter. 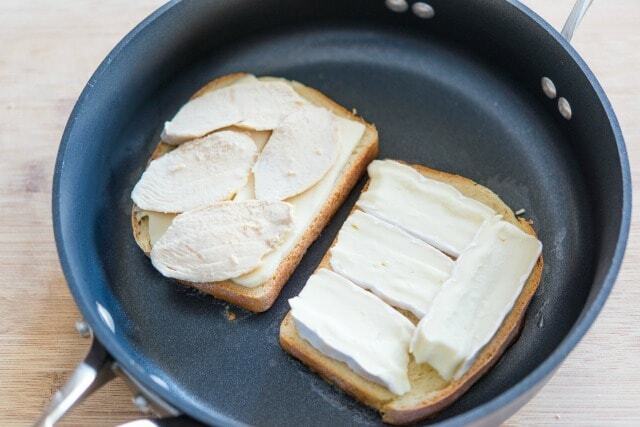 Lay the bread slices in the pan, buttered side down, and layer two of the bread slices with a single layer of mozzarella cheese, and the other two slices of bread with the brie. 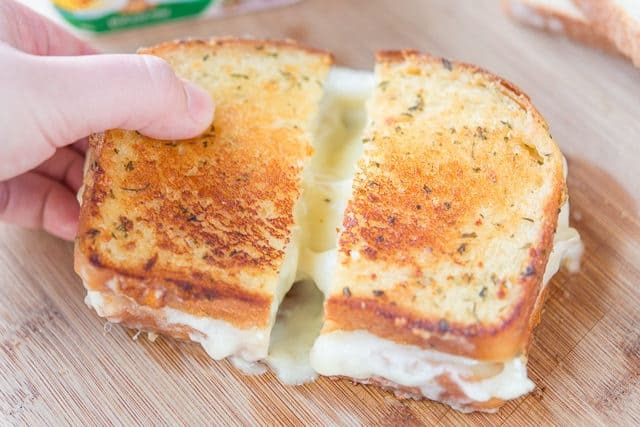 Add the thinly sliced chicken to the mozzarella layers, and grill the bread slices for 4-5 minutes, until the bread is toasted and golden brown, and the cheese has melted. 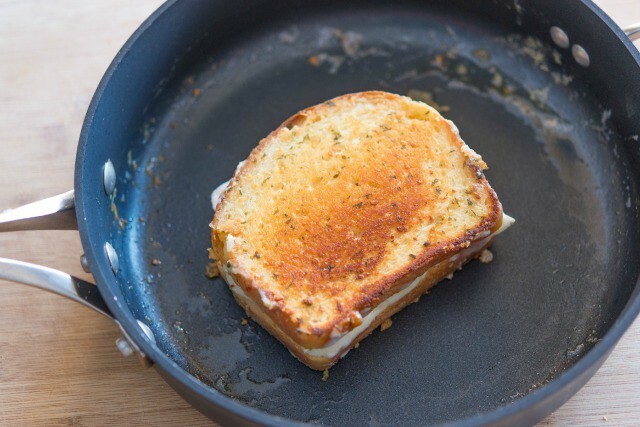 Flip one slice of bread on to the other to create a sandwich, then place a lid on the pan for one minute, if the cheese needs additional melting. Serve and enjoy! Post updated with photos, writing, and more tips in July 2018. Originally published March 2014. I just sent my son to the store to get what I need to make these. I saw this recipe a couple of days ago and I have been dying to try it since!! I cannot wait until he gets home to try it. If I love it like I think I am going to, I am going to shake it up a bit and make stuffed chicken breast with the same ingredients! Hope you and your son enjoyed the sandwich, Michelle! These sandwiches were nothing short of amazing! The only problem I had was not mangling the brie but it melts so presentation does not matter all that much when putting the sandwiches together! I will be making these again, and again, and again!! My whole family loved them. Thank you so much for sharing such a wonderful recipe! So glad to hear that Michelle! Yes, Brie is hard to slice since it’s so gooey and soft. I often sharpen my knife right before I slice it, which helps some. Happy cooking! Oh, this grilled cheese was MADE for me. MADE FOR ME!